Bicycling can change the lives of people in San Diego by providing affordable and sustainable urban transportation. The number of communities benefiting from this form of transportation is growing every day, but we still have a lot to do before reaching our goal of providing safe and comfortable bicycle infrastructure in San Diego neighborhoods. We are an organization of advocates and visionaries who bring varying backgrounds, ideas, and points of view to the work of making San Diego a world class bicycling city. Regardless of sexual orientation, gender identity, age, ability, religion, race or culture, we are committed to fairness, dignity, and respect for all who ride bicycles. In that spirit, BikeSD is proudly riding in the Pride Parade to acknowledge and celebrate the incredible strides the LGBTQ community has made toward equality and in recognition of the work that is still continuing. BikeSD stands with those who are fighting for diversity and inclusion not just today, but all year round. No matter how you choose to identify or the path you are on, BikeSD supports your journey and will ride with you. Women, Trans, and Femmes bicyclists were reassured regarding their place in the bicycling community last week at the San Diego Regional Bike Summit. Ringing in day one of the San Diego Regional Bike Summit, keynote speaker Adonia Lugo, author of Bicycle/Race: Transportation, Culture, & Resistance led attendees on a journey through culture and mobility in Los Angeles. Lugo has spearheaded multiple projects across the nation, including but not limited to: advocating cycling for people of color and different socioeconomic backgrounds, strategizing multilayer approaches to urbanism with communities, and providing research so that “we create bridges between different bikers.” Her compelling concept of focusing on ‘core riders’ was one that opened discussions between attendees. Borrowing the term from the transit advocacy field, core riders “...are known to be the more frequent and regular users of transit. Such regular users make up most of transit usage. Transit planners should focus on core riders and those considered potential riders.” She continued to discuss that core riders also comprise those bicyclists that aren’t necessarily active in bicycle advocacy but need representation too. The concept of core bicycle riders is crucial to advocacy since they are the most prevalent users. 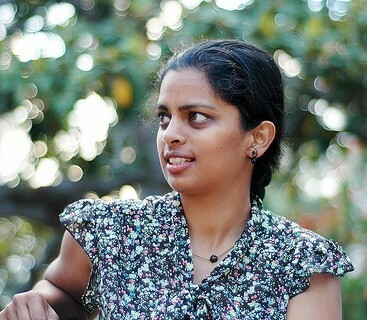 Check her out at urbanadonia.com for more information on her research background and ongoing work. Adonia Lugo also co-authored The New Movement Bike Equity Today. The theme of representation for core riders continued at the "Resilience on Wheels" session. Four advocates discussed their sense of place on the streets, representing different generations, ethnicities, and gender identities. Tez de la Tierra discussed their educational classes as a means to use biking ‘as a tool of liberation’ through QTIBIPOC Spirit Bike Tours/Rides in the LA and San Diego areas. 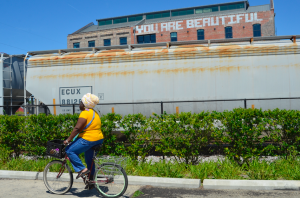 They highlighted the strong connection that biking provides with mother earth by experiencing the complexity of landscapes in detail and being able to create strategies to heal from oppression. Sharing their journey with others provides resources to persons who might not have the courage to jump on a bike and cruise. Karissa Bo Bissa is a local artisan and a member of the SheWolves for over four years. Her story was one that focused on the importance of community and inclusivity that allows women/trans/femmes to feel comfortable bicycling on the streets. Being a SheWolf, she now experiences no boundaries on where she can take her body and bike. Check out SheWolves Facebook Page or Website to see upcoming rides. Cresencia Garibo is a living example that ‘el querer es poder’ (to want is the power to be able to), learning to ride a bike at 62 years young! Growing up in Mexico she would rarely see women biking since riding a bike was considered to be only for men. She dreamt of learning to ride a bike from a young age and her desire never receded. She now uses bicycling as a therapeutic release. These speakers bear witness to how much more work needs to be done by bicycle advocacy and transportation justice organizations in the area of gender and diversity equity. It is important for people who have been oppressed to be able to use public spaces, including the street space and have active mobility choices because that is what makes urban life great. By supporting one another and physically showing up, new opportunities will become accessible for women, trans, and others who have not felt the courage to do so by themselves. A successful bike system would provide equal resources and inclusivity to those of different types of backgrounds. A diverse community can provide a wide range of ideas and topics to ultimately understand what a comprehensive system for all would be. Women/trans/femmes are underrepresented in active mobility and public space, but the San Diego Regional Bike Summit beautifully highlighted the presence that does exist in the community, research, and grassroot movements. Date: July 14, 2018. Time: 11:00 am. Locations: The parade begins at the Hillcrest Pride Flag at University Ave.
Hi, my name is John Anderson and I'm happy to be writing to you today to introduce myself as the new Interim Executive Director of Bike San Diego (BikeSD). I've been a board member of BikeSD for a couple of years and am now stepping into the Executive Director role previously held by Sam Ollinger. Sam has led BikeSD since it was formed five years ago (and even before then, when it was first born as a website). Her efforts with BikeSD have clearly moved the conversation about bicycling and biking infrastructure in San Diego and I thank her for all the work and passion she has given to BikeSD. Thanks to work done in the past, there is progress on new bike lanes around town, increased attention to better policies and more funding for bike projects from elected officials and civic employees, and there is momentum toward better on-the-ground infrastructure. However, much of this progress is slow, start and stop, or at risk of being walked back. It takes consistent attention and pressure to ensure that projects move forward and the ideas (many of them good or even great) come to fruition and don't remain on paper alone. That is the role that BikeSD plays. We are present at public meetings, meeting with city staff and decision makers, and engaging with local media to push projects forward, question delays, and highlight examples of peer cities executing on transformational projects. If Chicago can add "108 miles of new protected bike lanes" San Diego can as well and we should expect no less than benchmarking to world leading cities. 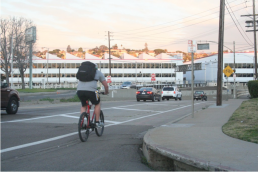 Along with other local organizations like Circulate San Diego, the San Diego County Bicycle Coalition and many others Bike San Diego is working everyday to push forward on making this a great place to live and biking is a big part of that. 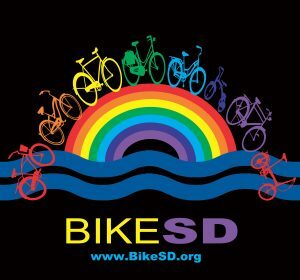 Many of you reading this have been supporters of BikeSD for a long time - thank you! Whether you are a member that attends every event, an occasional speaker at public hearings, or a person that simply enjoys biking around town and enjoying our beautiful city you are the real power of this organization. Every additional voice amplifies the ability of BikeSD to push forward on our mission to "establish San Diego as a world-class bicycling city and create a more livable urban community by promoting everyday riding and advocating for bicycling infrastructure". We will also be celebrating the organization's 5th anniversary on Tuesday, December 5, from 6 to 9 PM at North Park Beer Company and I hope you will join us for an evening of celebration and community. We will have a short program at 7 PM to thank Sam for her many years of dedicated service as well as sharing thoughts from the board for the coming year. Please RSVP here and share with others. If you're not already a BikeSD member I hope you will join us. If you are already a member thank you, thank you, thank you. I look forward to helping BikeSD continue the good work it has been doing, and to increase the size of our member base. I'll be reaching out soon to all of our members and you can always reach out to us (whether a member, supporter, critic, or observer) at talk@bikesd.org. You can reach me directly at director@bikesd.org. Whatever reasons you have for supporting biking in San Diego I hope that you will join BikeSD and help to make this a better place to live. A better place for biking means better health outcomes for our children, cleaner air, more and better economic options at the personal and governmental levels, and so much more. In short, it means a better quality of life for all San Diegans. That's a goal and a future worth working hard for. This is the hardest email I've had to write since I founded BikeSD five years ago. I will be leaving BikeSD soon and John Anderson will be the interim ED while a search goes out for the next ED. When I founded BikeSD five years ago with the help of many, many friends—all of whom I met on group rides, I had no idea what was ahead of me. I was planning on doing some minor amount of advocacy on the side, but BikeSD took off and soon I was running a proper little grassroots organization. Leaving BikeSD has been an decision I knew was coming but it was, nevertheless, a hard decision to make. Ultimately, I had to do something that was best not just for myself, but also for the organization. I have been given an incredible opportunity that I am very grateful for. Good organizations thrive and grow when new leadership comes in at regular intervals to help sustain and grow the organization. BikeSD is at this new and exciting juncture of its lifecycle. Running BikeSD has been full of hard climbs. And just like the views from atop Mount Soledad or B Street or even Pringle Street (my favorite), the climbs have resulted in the most rewarding experiences of my life. I've grown so much as a person and as a leader. The primary reason BikeSD was founded was to create a strong voice for bicycling infrastructure. Bicycling alongside vehicles moving at 40, 50, or even 60 mph is not just unpleasant, stressful, and noisy, but it's also dangerous. In my time with BikeSD, the city has gone from haphazardly implementing sharrows to activity striping buffered bike lanes alongside the city's repaving efforts. And it is because of you, the BikeSD supporter. You are the backbone of this organization's success and you are the reason I worked as hard as I did for the past five years. Becoming a NACTO city—adopting progressive guidelines on implementing bike infrastructure in the city was the first step to being more bike friendly. Becoming a Vision Zero city—a city can only be bike friendly if its streets are safe. And by becoming a Vision Zero city, San Diego has shown it is serious about eliminating traffic deaths. A very slow changing SANDAG—this agency knows how to drag its feet when it comes to implementing everything including bike infrastructure. But now, with new incoming leadership, change is afoot. Internal sustainability—behind the scenes, we’ve grown the budget, we’ve grown our membership and donor base—from 0 to over 3,000! We have expanded our reach and our professionalism. This was hard work but with the help of countless volunteers we've gone really far. More rides— we did one ride in our first year, but slowly started to hold more community and fundraising rides over the years. Meeting you—it has been an incredible privilege to do this work and learn from you. We all want to make San Diego a better city and I thank you most sincerely for allowing me to do this work. BikeSD’s recognition as a leader—during my tenure, BikeSD has been recognized nationally and locally as a leader on a number of issues—community and civic engagement, particularly at the neighborhood level. These are just a few of the things that have happened in a few short years (5!). The next chapter of BikeSD is going to be the best chapter yet. I can’t wait to see what’s next! This experience has forever changed me and I want to thank each and every one of you who have supported me and pushed me to be better. For now, I’m still available if you want to reach out for a chat or have any questions. P.S. Please consider renewing your membership with BikeSD—your membership is what makes our advocacy strong. Stay tuned to the newsletter for updates on the ED search. I know it's been a while since we did a news roundup and I also know you've missed them. Please enjoy! El College Area Community Council has two immediate vacancies on their board. In order to be eligible to sit on the board, "you must be at least 18 years of age, have attended (documented) at least two board meetings in the past year, and be a resident of the CACC area, an owner of a business in the area, or an owner of property in the area." If you are ineligible now, you should still attend the community meetings to learn what is going on and to be eligible to run next time a vacancy opens up. From SANDAG: "Construction on the SR 15 Commuter Bikeway is progressing toward completion, as crews finish paving and intersection connection improvements at the north and south ends of the path." The project is expected to be completed by "mid-summer 2017." Why aren't we spending more to expand bus, train, trolley systems in San Diego? While the headline is misleading, a bike thief was caught by federal agent and sentenced to 5 years in prison. Lesson: quit stealing bicycles. The Coronado Eagle & Journal covers what's at stake in accommodating people outside vehicles on the Coronado bridge. The Union-Tribune has apparently decided to stake its reputation on the message of an unequivocal "no" when it comes to anything bicycle related. Examples: An eight year old is injured, and the reporting language shows bias in favor of the driver; And a 20-year old bicycle rider was injured and without the investigation being completed, the reporter implicitly blames the rider. The Editorial board is even worse, calling the normal activity of commuting by bicycle a "fantasy." They also give space to the bizarre rants of a paranoid reader who wonders if he will be arrested for not riding a bicycle, and another reader who could benefit from a good civics lesson on how local government works and how policies get implemented. Plus there is coverage about the city's Bicycle Advisory Committee's reasonable request to implement the city's Bicycle Master Plan with the over the top incredulousness that only the Union-Tribune is capable of. KPBS covers the frustration that comes with the lack of progress in implementing bicycling facilities in San Diego. VOSD covers how city officials went from claiming that the city's goals in increasing bike mode share are not "based on anything" to the exact opposite. Encinitas begins an "eco-friendly" employee ‘Try Transit’ program. Hope the city continues the program. The Encinitas City Council is considering whether to spend "$250,000 for a study on ways to improve pedestrian, bicycle and vehicle conditions along the El Camino Real corridor." 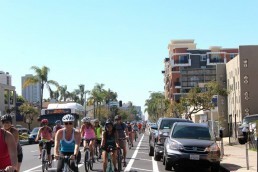 The city's officials would really like Encinitas to be bicycle-friendly. El Cajon PD are looking for a bike shop thief. Coronado is maybe (?) trying to repair its anti-bike reputation and has installed bike stations along the Bayshore Bikeway. 59-year-old bicycle rider that was fatally struck near Fallbrook has been identified as Paul Joseph Burke. Orange County Bicycle Coalition opposes the widening of Santiago Canyon. Bikeshare is coming to Pasadena. Also from Mr. Curran: Commuting by bicycle makes you happier and there is science to back it up. What the White House budget means for biking. The Los Angeles Bicycle Coalition's executive director, Tamika Butler, gave a fantastic talk at the recent Vision Zero symposium in New York City about what Vision Zero implementation could mean to communities of color. Roanoke, VA now has bikeshare. Is the best bicycle infrastructure in the country... in Florida? This headline could apply to San Diego: "Miami’s Future Should Be Transit and Walking, But the Mayor’s Focused on Robot Cars." In Atlanta, a portion of I-85 collapsed. As the Atlanta Bike Coalition has stated, "Atlanta has put all its eggs in one basket—we have depended on single occupancy vehicles (cars) to get us from point A to point B. It's not a car problem, it's a priority problem. Atlanta must diversify its transportation options, lest we hold our breath for the next system upset." "Rail stations, it turns out, are delivering much more than passengers to surrounding neighborhoods," which makes transit hubs attractive to developers.